What could be the problem as to why I have great throttle in the forward position, but in reverse, I have no throttle at all. Need more information. Inboard or outboard? Make of engine? Could be a broken throttle cable or a loose cable mount at the engine. If its a Hami 212.......clean the slide bar. Been there. 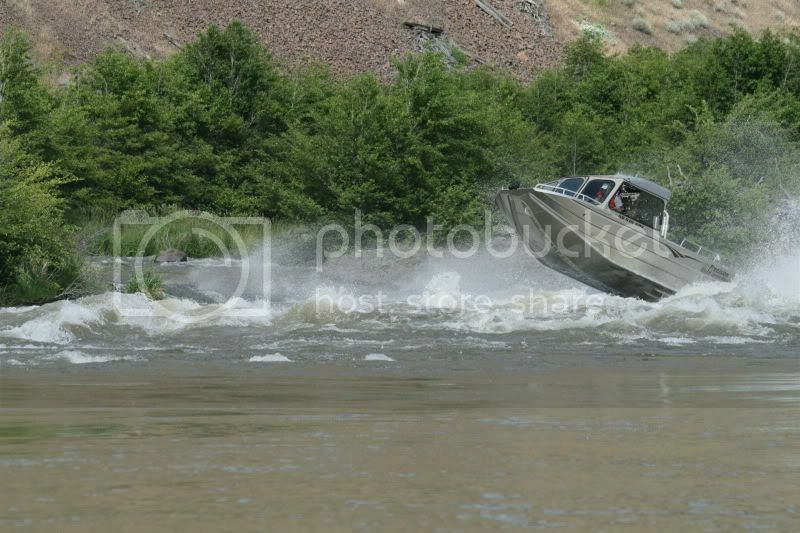 Yes, this is a North River, 2008, with the inboard engine! This has just the single throttle handle, and cable are the engine is in tack, and the throttle works perfect in Forward! So it would seem that the cable is not broke! It seemed that I had a small amount of throttle in reverse, and then it quit working in reverse all together. I took the cover at the throttle handle off, and it appears to be nicely greased with white lithium grease. And looking under neath, it appears that the linkage is attached to the handle. So, just don’t get why it don’t work. I guess I don’t really know how it works! Unhook cable at front of boat and do a push pull by hand and mark travel with sharpie and look at bucket timing (Full up, full down for travel). If okay then back to single control for problem. We put grease zerts on bucket bolts to aid movement. Do you have full cable movement on throttle in forward (about 4 inches) ? and how much in reverse? Is the cable under half moon clip on cable at controller? Yes, I have full movement in the forward position. You asked about the cable on the cam. I guess I need to take the 4 bolts out of the control and pull it out far enough to see how the throttle cable works. I realize that there is only 1 throttle cable coming from the engine, but to get it to pull the same direction whether I am going forward or reverse, the cable must wind over on another cam it pulls ? When you say a half moon clip, that I haven’t seen yet. Maybe that is the problem! I had the exact same issue with my 2007 NR. Clean the slide bar off of all grease. I'm talking the stainless mirror finished one. If its greased, it actually binds. You have zero issue with forward and dropping the bucket into reverse but only goes so far. Throttle wont even go into actual reverse. I had this happen while guiding and just sprayed it with WD40 and cleaned all the grease off. Worked fine again.